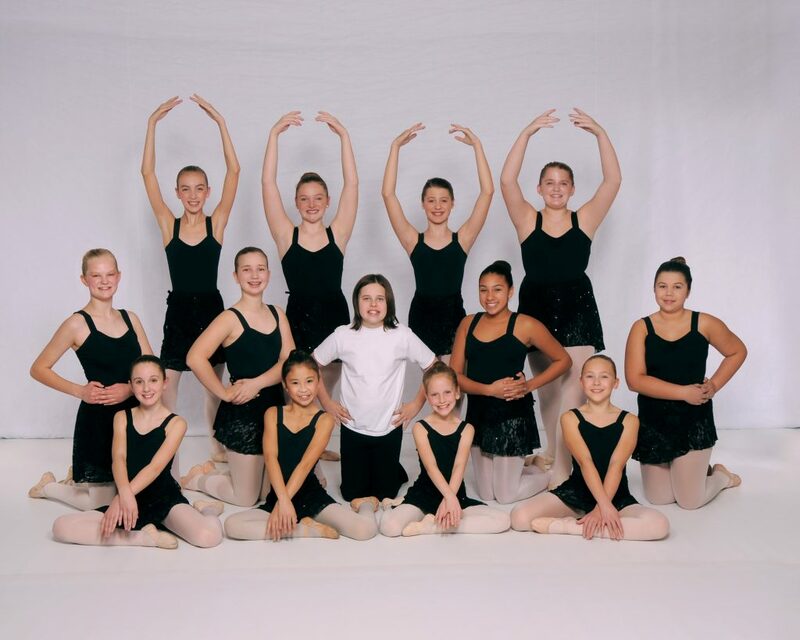 The Sidney Dance Company is made up of school aged youth ranging from 10-18 years old. There are two companies of dancers Company I and II, split by ability. In June of every years, prospective dancers audition to be a part of the company. These auditions are very close to professional auditions and the dancers are held to high standards of conduct, attendance, ability and performance. 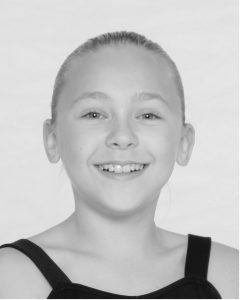 Sharon’s School of Dance provides these dancers hours of training each week in ballet, jazz, tap, modern and vocal performance. Aliya, daughter of Dean and Karen, is 18 and a senior at Fairlawn High School. 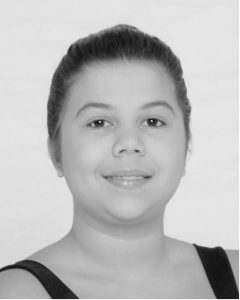 Aliya has been dancing for 15 years and as a member of the Sidney Dance Company for 7 years. Her favorite role was as Cinderella in Cinderella the Ballet because it forced her to push herself and work very hard to succeed. Aliya plans to continue her education as an exercise science major/dance minor at Bowling Green University. Tiffany, daughter of James and Leah, is 17 and a junior at Sidney High School. Tiffany is involved in many activities including swim, band, choir, chamber choir, and a job. Tiffany’s favorite dance class is modern because she loves to express herself. This is her second year in company and eighth year dancing. Kate, daughter of Kevin and Kim, is 16 and a junior at Houston High School. Her favorite dance class is pointe because it is very challenging. Kate looks up to Misty Copeland because she is an amazing dancer and role model. Her favorite roles have been in Nutcracker because the ballet is iconic in dance culture. 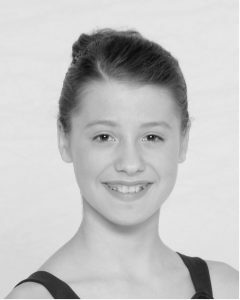 Kate has been dancing for thirteen years and five as a company member. Kiris, daughter of Shawn and Claudia, is 15 and is a sophomore at Anna High School. Kiris’ favorite dance class is tap because she loves the rhythm and sounds. She looks up to Aliya because Aliya has been her role model from day one. 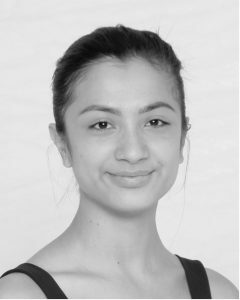 Kiris has been a company member for six years and has been dancing for eleven. Mariana, daughter of Ken and Jennifer, is a 16 year old, home schooled sophomore who also takes some classes at Sidney High School. 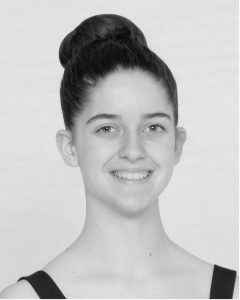 She has been dancing for thirteen years, and this is her fifth year as a member of the Sidney Dance Company. Her favorite class is Pointe because it is challenging and takes ballet to a whole new level! She is involved in choir, cross country, and also likes to sing, play piano, and hang out with friends and family. She is especially proud to be in the top ten fastest runners at Sidney High School. Ella, daughter of Jim and Tracy, is 15 and a freshman at Lehman High School. 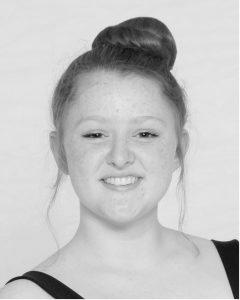 Ella has been dancing for 12 years, and has been a company member for six. Her favorite role is as Cassandra because Cats has been her favorite musical since she was a little girl. Ella’s favorite dance class is modern because it is more free and expressive. McKensie, daughter of William and Dara, is fourteen and a freshman at Sidney High School. 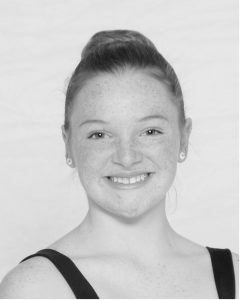 McKensie has been dancing for two years, and she is starting her third year as a company member. Her favorite roll is Jellylorem in Cats because she gets to be soft and sweet while acting and performing. A fun fact about McKensie is that she loves to choreograph dances. Lizzy, daughter of Clint and Lacie, is fourteen and a freshman at Sidney High School. 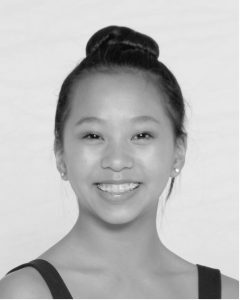 She has been dancing for eleven years, and this is her fifth year as a company dancer. She also enjoys choir, musicals, and the pride of Sidney Marching Band. Her favorite dance class is jazz because she loves the choreography and sass. Lizzy looks up to Laney because she is doing what she loves. Faith, daughter of Eric and Jill, is 14, in eighth grade and is home schooled. 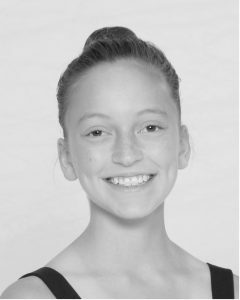 She has been dancing for seven years and a member of Sidney Dance Company for two years. Faith enjoys playing the piano, reading, writing, and hanging out with her cat. Faith is a huge Superhero fan. Her favorite dance class is jazz because she can move to the beat and express herself. Her favorite role was an acro-jester in Cinderella, and she is inspired by her family. Cadence, daughter of Brad and Amy , is 14 and in eighth grade at Sidney Middle School. 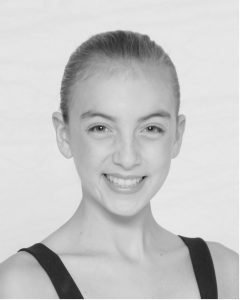 Cadence has been dancing for 7 years and as a member of Sidney Dance Company for three years. Her favorite role was as an acro-jester in Cinderella because it was something that stood out. Cadence looks up to Maddie because she is very hard working and inspires others. Reagan, daughter of Mitch and Mindy, is 13 and a seventh grader at Anna Middle School. She has been dancing for ten years and a company member for three years. She likes the leaps in jazz, letting loose in modern, and the control and challenge of ballet. Reagan also plays piano, participates in FCCLA, choir, and likes to dance, sing, and hang out with friends. Katie, daughter of Marc and Sheri, is 13 and in eighth grade at Minster Junior High School. She has been dancing for ten years, and this is her first year as a company member. Her favorite performance was recital for pointe because it was her first performance in pointe shoes, and she was excited to dance en pointe. Katie admires her parents, and she has a twin brother. Mallory, daughter of TJ and Melissa, is 13 and an eighth grader at Sidney Middle School. 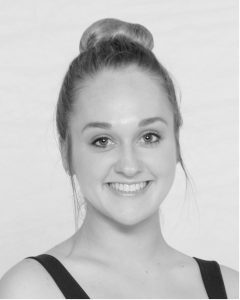 Mallory has been dancing for ten years, and this is her fourth year as a member of Sidney Dance Company. Her favorite dance class is tap because it has a fun and structured beat. Mallory looks up to Kiris because she is always so positive. Emily, daughter of John and Erica, is a thirteen year old home schooled eighth grader. She has been dancing for eight years and a member of company for two. Her favorite dance class is musical theater because she likes singing. 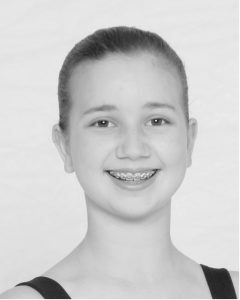 Emily’s favorite role was as a soldier in Nutcracker because she loves to act. Emma, daughter of Victor and Sheila, is thirteen, homeschooled, and in seventh grade. 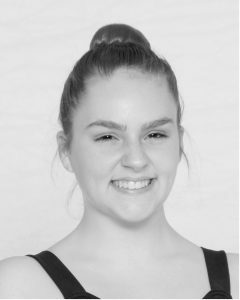 Emma has been dancing for three years, and this is her first year as a member of the Sidney Dance Company. She participates in 4-H shooting activities, teen activities at church, plays the piano, and rides horses whenever she can. 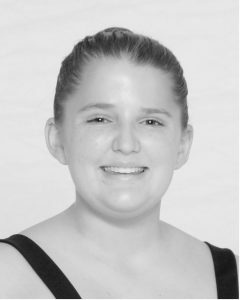 Emma’s favorite dance class is ballet because she likes to challenge herself and learning new and graceful things. Brianna, daughter of Ryan and Nykole, is a thirteen year old seventh grader at Anna Middle School. 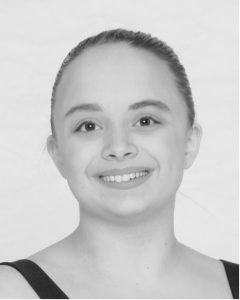 She has been dancing for ten years, and has been a member of company for two. Her favorite role was as a nymph in Cinderella because the costumes were beautiful, and the dance was very elegant. Brianna looks up to her parents they help her through everything, and Aliya Sharp because she is confident and a great dancer. Samantha, daughter of John and Laura, is twelve and in seventh grade at Fairlawn Schools. 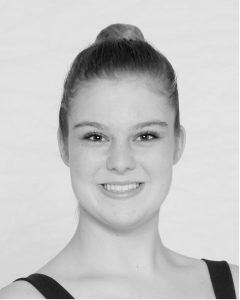 Samantha has been dancing for four years and a Sidney Dance Company member for two. Her favorite dance class is ballet because it challenges her and is fun. Samantha’s other interests include FFA, dancing, singing, and riding horses. Zoee, daughter of Victor and Natasha, is twelve and in seventh grade at Sidney Middle School. 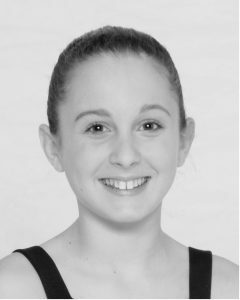 Zoee has been dancing for six years, and this is her third year as a company member. 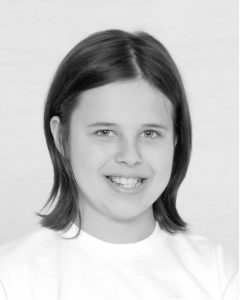 Her favorite role was as Baby Bear in Shrek because it was a great part and super fun to act. She also plays softball and soccer, and likes to hang out with friends and go to sporting events. Anika, daughter of Nerijus and Melisa, is twelve and a sixth grade student at Holy Angels School. 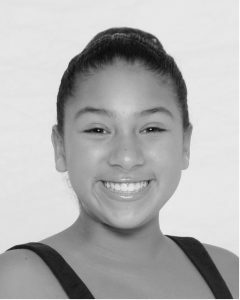 Anika has been dancing for ten years, and this is her third year in company. Her favorite dance class is pointe/pre-pointe because it is so pretty and graceful. Her favorite role was as Gingy in Shrek because she got to wear a onesie on stage and got to scream. Logan, daughter of Clint and Lacie, is twelve years old and a sixth grader at Sidney Middle School. 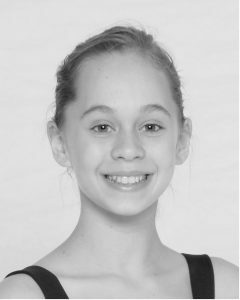 She has been dancing for ten years and a member of Sidney Dance Company for three. Her favorite dance class is modern because she gets to dance freely. She is involved in band, choir, and church. Leah, daughter of Bill and Tricia, is in sixth grade at Holy Angels and is twelve years old. 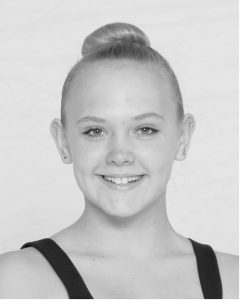 Leah has been dancing for nine years and is in her second year in company. 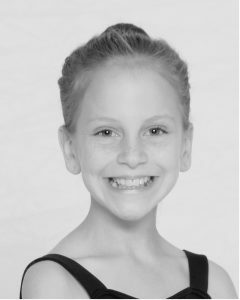 Her favorite dance class is pre-pointe because she is eager to go on pointe, and Leah loves the challenge. Leah is involved in piano, recorder, and church. She likes to read Harry Potter and ride her bike outside. Rylen, son of Matthew and Anne, is a sixth grade home schooled student and is eleven years old. Rylen has been dancing for eight years, and this is his first year as a company dancer. His favorite was as Little Shrek because he got to dress up as an Ogre, and this was his first role in a musical. In his free time, Rylen likes to play video games, read, play with his dogs, and spend time with family. Maggie, daughter of Dale and Brenda, is eleven and homeschooled in the fifth grade. 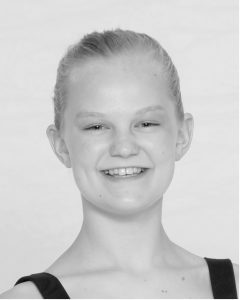 Maggie has been dancing for eight years and is in her second year as a member of the Sidney Dance Company. Her favorite class is pre-pointe because it is challenging and will lead her to pointe. Maggie has five brothers and loves goats. 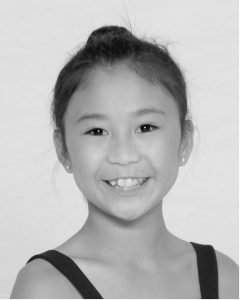 She looks up to Mariana because Mariana has helped her with choreography, new skills, and tips for dance. Kara, daughter of Ken and Jennifer, is an eleven year old, fifth grade, home schooled student. Kara has been dancing for six years and a member of company for two years. Her favorite role was as Blue Bird in Cinderella because it was her first year in company, and the role was challenging and fun. Kara likes to read, knit, sew, run, and hang out with family and friends in her free time.